Top Rated Essay Editing Tutors in Phoenix, AZ! Welcome to Phoenix’s top-rated private essay editing in-home tutoring service! 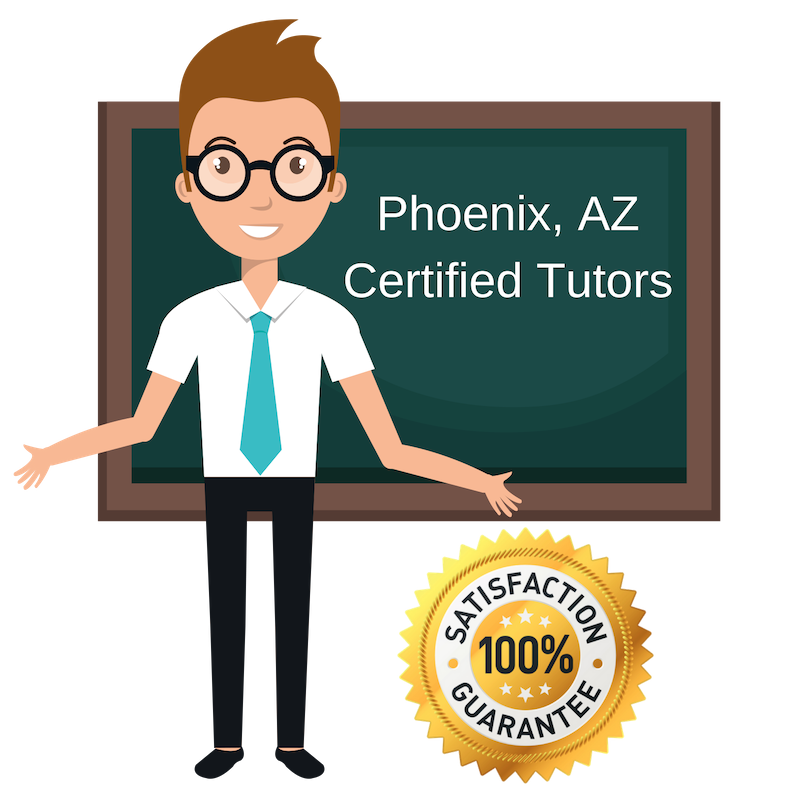 All of the following Phoenix essay editing tutors are certified by Varsity Tutors, the leading tutoring agency in the country! All Phoenix essay editing tutors have been background checked, been interviewed, had mock essay editing tutoring sessions, and been trained by professionals. We guarantee you will love your local Phoenix essay editing tutor or your money back! Get information regarding a top-rated essay editing tutor today! I am a teacher and tutor in Phoenix, Arizona. English has always been my dedicated subjects and I love sharing my passion with students. I have taught for over ten years and have worked with students of all levels and abilities. I currently tutor students and help with essay editing. Writing essays is a critical skills for students something I quite enjoy teaching. I work with students who have already written a first draft and I help edit the essay and identify areas that need more development and provide feedback on grammar, punctuation and flow. I make sure to create a welcoming environment and an open dialogue with students. Writing can be fun and I want to do my best to make it that way for students. Spending time with my husband and kids, reading, cooking, working out ( when I have time), watching movies and learning! I specialize my tutoring in reading, writing and literature. I am excited to now be helping students with essay editing. College essays are a huge part of a student’s college application and I want to help them get it as close to perfect as they can! I received my Master’s degree in English Literature and write and read a lot, giving me a great foundation for this role. Writing essays requires a lot of critical thinking and I will work with students to make sure that is understood and appreciated from their essays. I want to help better prepare students for college and their futures. English is an amazing language, and one I love working with students on. I have decades worth of experience teaching English at both colleges and high schools and I still love working with students in this subject. Outside of school, I tutor students in essay editing to help them fully communicate their ideas and thoughts through essay writing. I try and bring fun and clever ways of explaining concepts and ideas to students to keep them engaged. Pickle ball, tennis, films of all kinds, Shakespeare, American novels–best sellers, sailing, technology–especially social media. I’m Jon and I have a lot of experience tutoring students of all ages. I have covered many subjects, but essay writing is by far my favorite and my specialty. I tutor students in Phoenix on essay editing, to help them perfect and improve essay drafts they have completed. I am up for any tutoring challenge and enjoy working with all students. I love to write and read short stories. The weirder they are the better! I also enjoy swimming and love watching classic movies. I am currently pursuing my Bachelor’s degree in English Literature. English has always been my favorite subject. I tutor and teach students of all ages, from children to adults. I tutor students in Phoenix and work with them on essay editing. I strive to make sure all of my students write beautiful essays in their own words with a little help from me along the way. My mission is for students to enjoy the experience and improve their work during it.